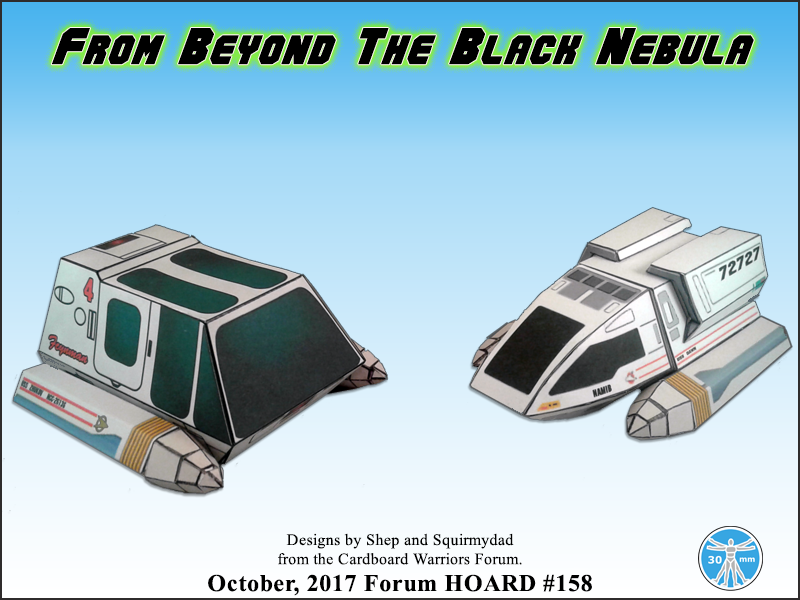 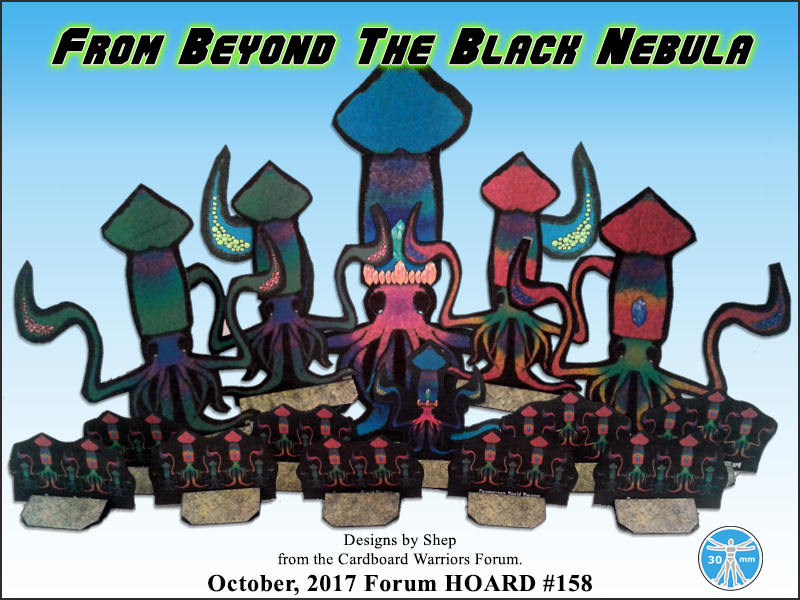 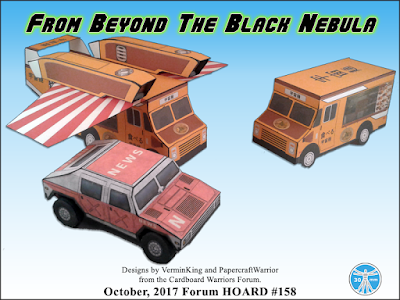 The collected forum Hordes for October and November have just been uploaded to onemonk.com and are waiting for you to download! 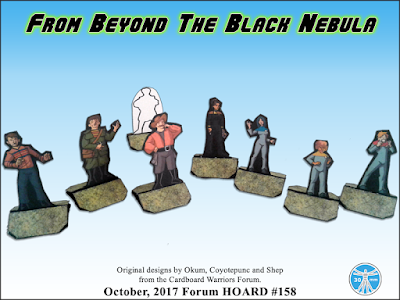 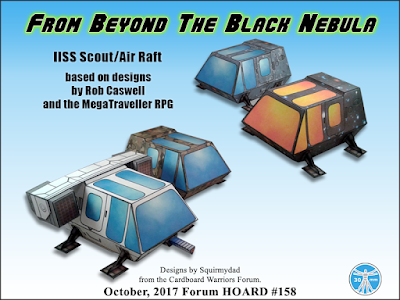 I've been ridiculously busy at work so regrettably most of the Black Nebula Horde does not have cut-files, sorry. 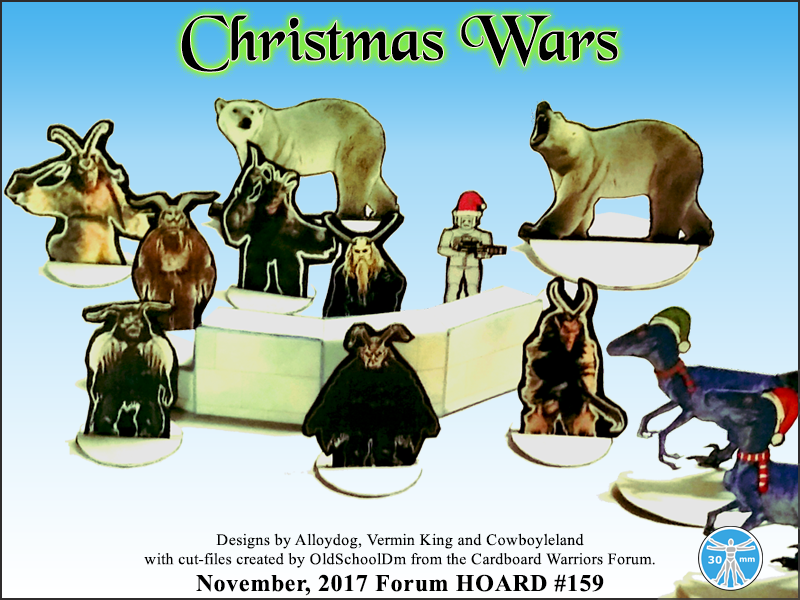 Thanks to Vermin King and OldschoolDM of the Cardboard Warriors forum for stepping in and completing the Christmas Wars Forum Horde, which does come with cut-files.